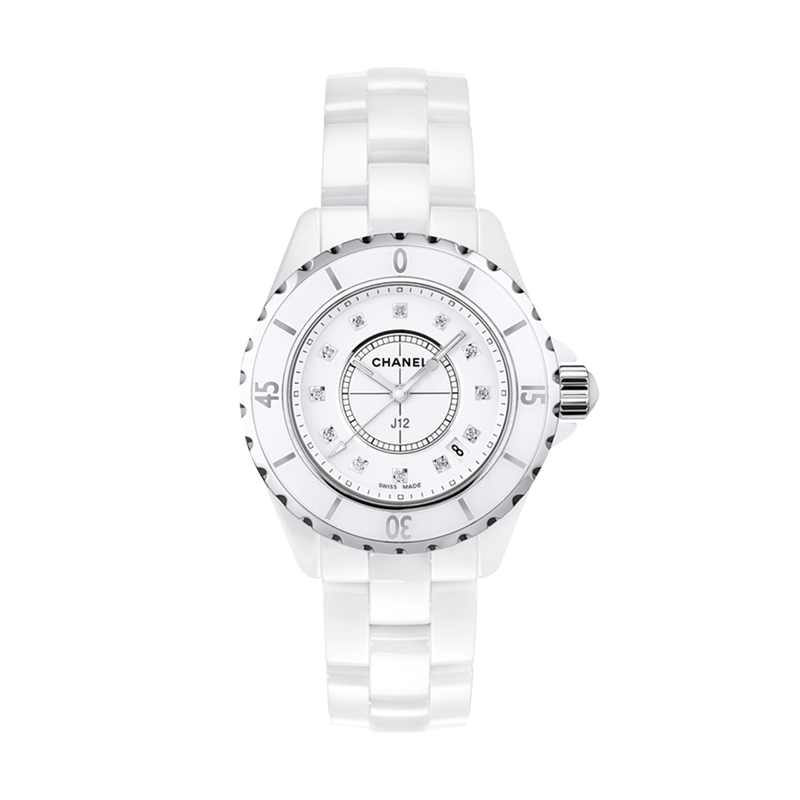 The J12 White CHANEL celebrates the fusion of pure design with high-tech material. The white ceramic and stainless steel case houses the Swiss Made quartz movement. The steel rimmed ceramic bezel surrounds the white dial, which features twelve white diamond indices and a date window. A white ceramic link bracelet with a folding clasp adds the finishing touch.